The famous Remedios Circle is not just the circle with all the restaurants, but it also includes the streets of M.H del Pilar, Adriatico and Mabini. The actual Remadios Circle includes bars, restaurants and discos up and down the street it will fill your night with the unique exciting nightlife of Manila. 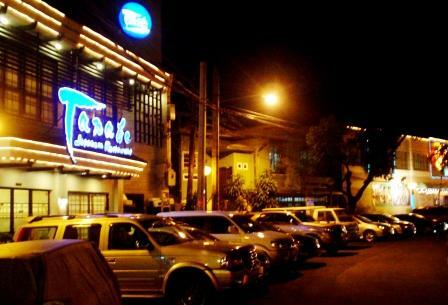 There are many nightspots in Manila, similar to the ones in Makati, but going to Remedios Circle at night is quite different. If you go to the Makati night spots, you will experience the first class nightlife comparable with the ones you can enjoy in any major cities across the globe. This is good if this is what you are looking for but if you want a truly exotic Manila nightlife then you should go to the Remedios Circle, especially at night. This is not to say that the nightlife here is not first class. In fact, some of the bars and restaurants are truly first class and you should be prepared to spend top dollars on them. What’s the best way to enjoy Remedios Circle? The best way to really enjoy Remedios Circle, is to first look around and see what you will really enjoy. There are plenty of first class restaurants around, but there are also different themed restaurants, so it is all up to you. As for international cuisine, this is the place to be. You will not lack options if international dining is your taste. But then of course, you might even want to try the native Filipino restaurants for a truly Filipino dining experience. The Filipino restaurants here are some of the best around. 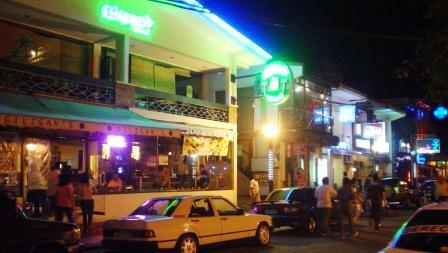 After dining, you may choose to walk around a bit and see which bar or disco you might enjoy. The choices are pretty vast, you can choose to go to a concert, go to a cozy bar, see gay beauty contests, watch stand up comedy or see the different stage events for the day. And although the disco era has long been over, here you can have the disco of your choice. You can find techno discos, 80s discos and the real 70s disco and best part of Remedios Circle is that you can simply walk in one place order a beer hang around a bit, then go out and enjoy the next place. It is a popular meeting place, the streets are constantly packed, make sure you catch a taxi, because as you can see from the photos, parking is near impossible! Remedios Circle is also the place to simply be yourself, whatever you are and whoever you are. Tourists and business travelers from around the world can be as comfortable here as the local patrons. This has been the culture of the place since it was the original hang out place of the Manila artists, poets and musicians. Eventually it evolved into a place where acceptance of everybody is normal. Remember though, if you will go there on Saturday nights, it is best to take the taxi since finding a place to park your car can eat up most of your night. Or if you want, you can take the jeepney bound for Mabini or M. H. Del Pilar.